SYMPTOMS of NBN roll out rage have been widespread throughout CQ over the past year but the Labor Party believes they have the right remedy. There's been plenty of negative stories written about the NBN roll out since it commenced in 2011, with another one told at the Callaghan Park race track yesterday by Rockhampton Jockey Club Communications Officer Darryn Nufer who was being visited by Shadow Minister for Regional Communications Stephen Jones and Labor's Candidate for Capricornia Russell Robertson. 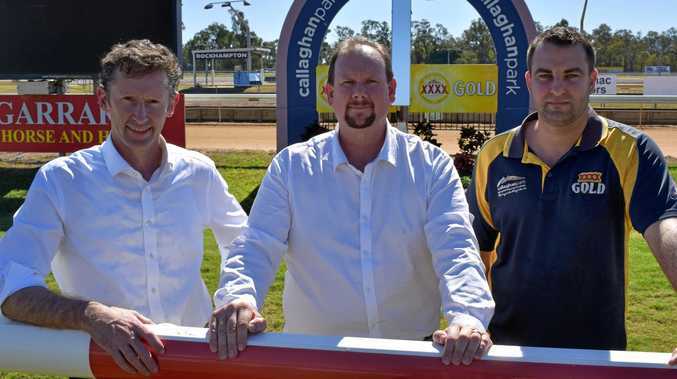 Mr Nufer said their club had been plagued by connectivity issues throughout their recently completed winter racing carnival since making the switch across to the NBN a couple of months ago. He said their patrons were inconvenienced by being unable to access their money and long queue wait times and now that things had died down, he intended to follow up his concerns with the NBN. Mr Robertson accused Capricornia MP Michelle Landry of not doing more to fix the flawed roll out in CQ. "Locals are sick and tired of the delays, the missed appointments and the shoddy connections. In recent time, Mr Robertson has invited a number of Labor's ministerial representatives to the region with Mr Jones the latest visitor, keen to explain how his party would combat the woes with the NBN roll out with their 'NBN Service Guarantee'. Mr Jones said Labor will deliver a better deal for NBN consumers in Rockhampton with a plan to establish an NBN Service Guarantee that will set regulated timeframes and wholesale service standards for fault rectification, installations and missed appointments. He said the service guarantee would be enforced through financial penalties that will apply if service standards are not met. "If NBNCo doesn't meet these standards they'll be liable and the impacted consumer will be fairly compensated - it's that simple. He said Labor in government will work with the ACCC, NBNCo, ACMA and other key stakeholders to set appropriate penalty amounts. "Having more uptime, less downtime, and greater accountability is an important step towards delivering a better NBN for all Australians,” Mr Jones said. Mr Jones said by making NBN more accountable to retail providers, retail providers could in turn be more accountable to their customers and adding that Labor would also look at possible penalties for retail providers down the track. 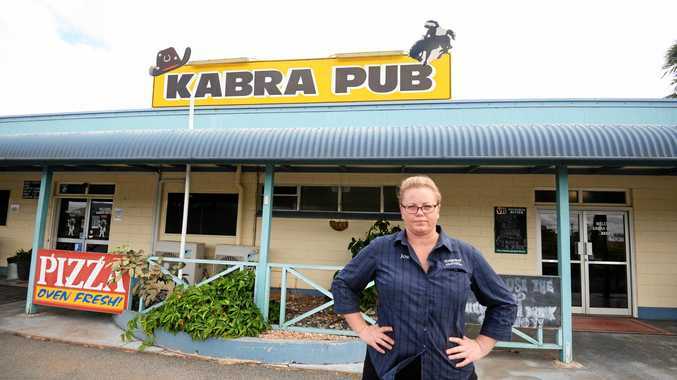 Capricornia MP Michelle Landry was unable to comment on this story before it went to print but acknowledged in previous The Morning Bulletin stories that the NBN roll out was an incredibly complex project and teething problems were inevitable. "My office is only too happy to assist constituents who find themselves in difficult situations,” Ms Landry said. Ms Landry's plan to address the NBN roll out issues will be detailed in a future story.